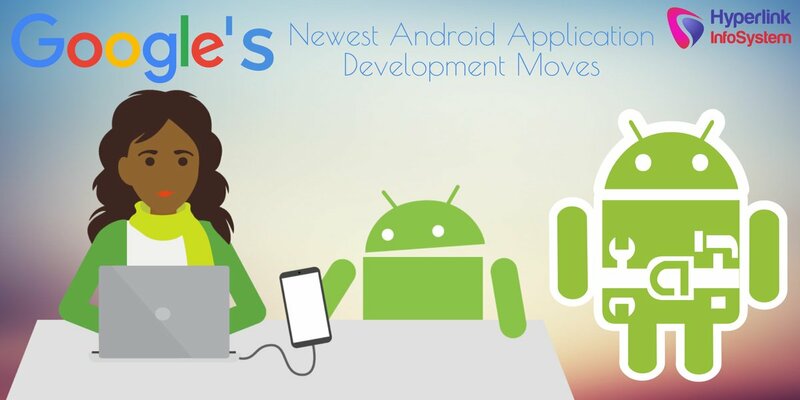 Google announced two moves in the second week of August 2017 that are expected to have a serious impact on Android application development. One was an agreement between Google and India to use Google’s short training program. The second was the rollout of a trial version of Android O.
Google basically is Android. Both moves are seen as Google securing their base in all the phones that run Android like LG, Moto, Samsung, and Google’s own Pixel. The moves are also seen as an attempt to help small app development companies develop for Google and for the future Google envisions. The details are important in creating an understanding of where Android application development is headed in the near future and in the long term. The world of Android that Google sees may come about or it may change due to customer demand, a breakthrough technology, or competition. Android has an astonishing 88 percent market share of all smartphones sold. There are more Android apps that any other apps. There are 2.8 million Android apps available. About 1,000 new Android apps hit the market every day. The market growth for an Android application development company has never been more promising. Google plans to train app developers in India to create apps for smartphones and tablets that run Android. The basic idea is to train the trainer. The program has some uniquely Google characteristics. The 100-hour course is a refined version of the Android application development training that Google has introduced in universities and colleges. The short version provides the most information in the shortest period of time. Google’s course can be taken by anyone anywhere at any time. The idea is to train as many people as possible in as short a time frame as possible. The plan is that the initial set of trainees will become the mentors of larger groups of trainees. Google’s training program is not directly allied with any university. The program is intended to seek out those who are involved in Android application development that does not have formal training. One of the ideas behind this move is that many of the most popular games came from people with no formal training. Google already has the training platform. All the company really needed was a buy-in from Indian and government and business. The logic is that any Android app developed will be sold through a Google site and Google makes their investment back. 1) India is third in the world in Android application development. 2) Estimates are that the local market for app development personnel in India will grow by 25 million by 2022. Formal training cannot cope with this demand. Some may see Google’s training in India as a bit self-serving. This is probably factual. The benefit to individuals and to the country will be an economic boom. Google is simply taking advantage of what already exists and training the potential for what Google plans for its future and best interest. Google released a developer preview model of its Android O system that is designed to develop apps and programming for the Internet of Things on 8/14/2017. Android Things is a first look at what Google expects to be the platform for connecting everything to your phone or tablet. The main idea that Google wanted to get across with this preview is that writing apps for the Internet of Things is going to be extremely similar to writing apps for phones. This was Google’s long-announced plan and it has come to fruition at last or so Google claims. 4) Must target API 26. Any previous apps created with earlier versions of IoT like Android N will not automatically engage with the new version. The developer must update their OS, update the app, and then launch again. This is a safety factor that will prevent any odd equipment behavior. The newest version is designed to help developers and protect Google as well. The new OS has an impeccable differentiation between prototypes and hardware that is ready to scale to production. Ready for production hardware must meet Google’s security criteria. Google promises continued support but does not name a price as of yet. The documentation and instructions for Android Things are extremely complete. The idea being pushed by Google is that anyone can write an app for the Internet of Things if they follow the instructions Google developed. It is not that easy or simple. People who wrote apps for Android have an advantage. Despite a fairly steep learning curve, the new system does promise to create a host of new developers and app development companies. Google not only tells you how to do everything but targets all of the equipment that you will need to buy. The hardware that is needed to run the OS, the hardware that is needed to connect a physical device to the net, and all other physical equipment is recommended by Google. The fact that the suppliers are partly if not wholly owned by Google should not be too surprising. You will make a fairly substantial investment to begin creating devices. Users must be aware of the terms of service for the new Android IOT OS. Read before you buy as opposed to read and weep later. One interesting clause is that any suggestions that you make to improve the system are automatically Google’s property. If you have an improvement then, get it patented or copy written and present it formally. Despite any self-serving and self-protecting that Google does, the preview does offer a lot of potential for developers. You have to put time into this to get something out of it. The system will not do the work for you but it does make things easier. You do get all of the tools that you need to write and develop apps targeting the IoT market. Many people may be wondering why Google did it this way. Google has had mixed success with their training programs at the university level. There may not be enough payback in people who work for Google. More people have had phenomenal app success by going it on their own. This is the market that Google is looking to train with Android Things. Google gets an income stream from program and equipment purchases. Google also gets income from any IOT apps developed because they will be sold for Android devices. Google has always played it smart with money. These two moves show just how smart Google is with training for Android developers.